We have a brand new JKU build on a new 2016 color of Granite Crystal Metallic. This Jeep is matched with bare aluminum components from GenRight and suspension from MetalCloak and Fox Racing. Please contact us for details. 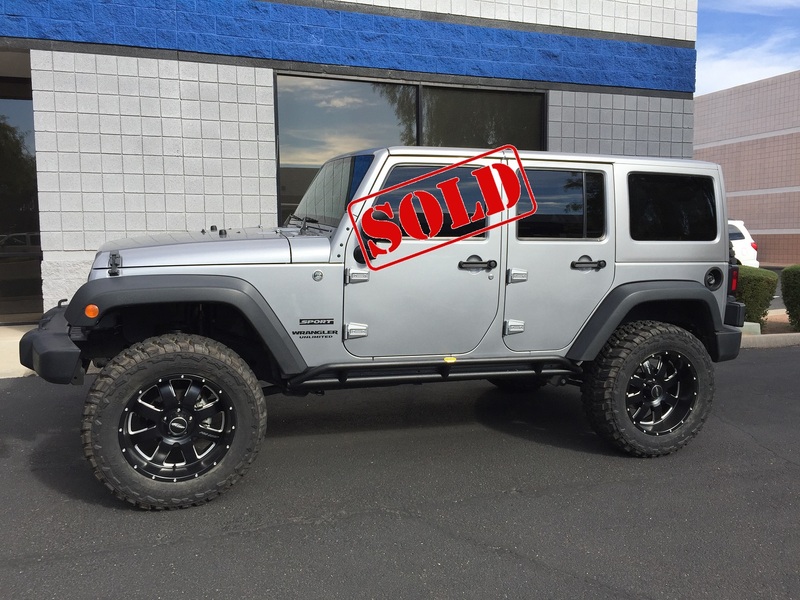 We're offering this brand new JKU with less than 200 miles and a custom build using all top quality accessories such as MetalCloak, GenRight, Fox Racing Shocks, Mopar, Nitto, Method Racing and AMP-Research. 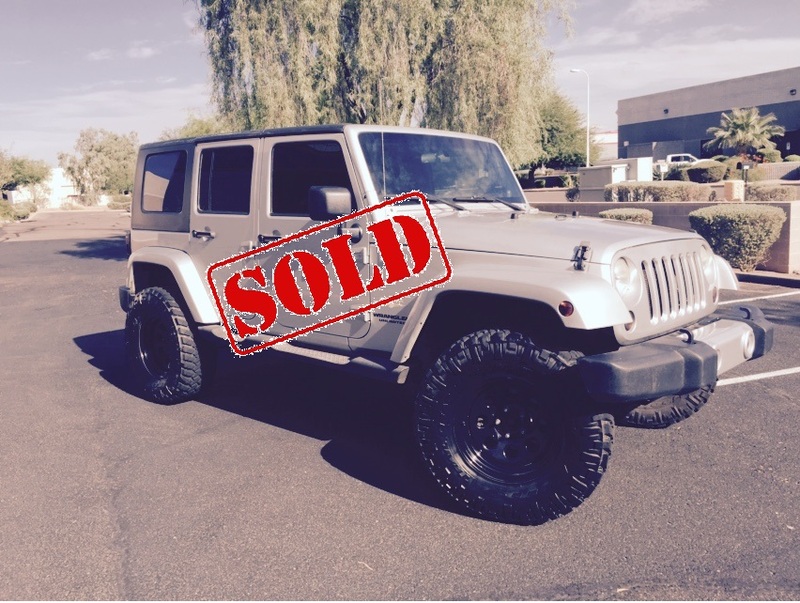 Come and take this beauty for a test drive, and you'll see that off-roading can be done with style and comfort! 2016 Jeep Wrangler Unlimited Expedition Series – New and custom built with just over 100 miles on it! 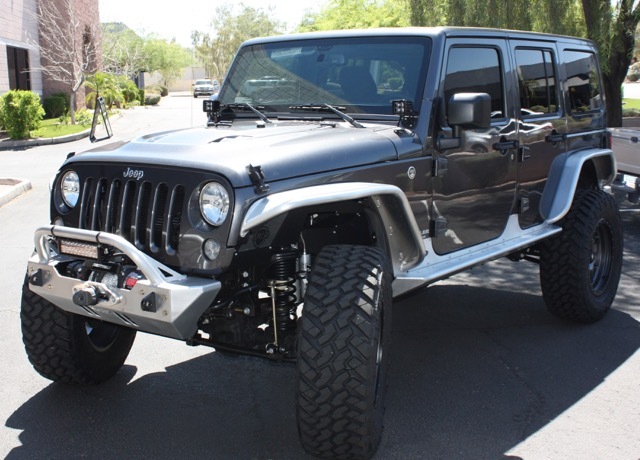 This beautiful jeep is fully built and expedition ready with significant modifications to prepare it for the Arizona trails. 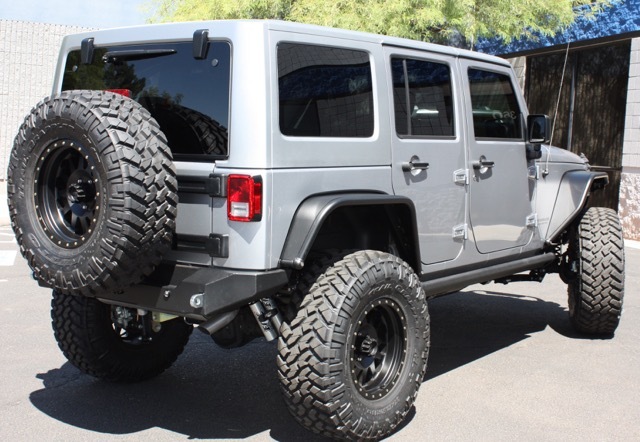 We started with a loaded 24S package Wrangler and then added a ton of goodies!